Last week the Royal College of Physicians published a new audit on exercise provision in falls services across the UK. Some of the findings were, unfortunately, not unexpected! This survey was commissioned by the Healthcare Quality Improvement Partnership (HQIP) and carried out by the Royal College of Physicians’ Clinical Effectiveness and Evaluation Unit (CEEU). 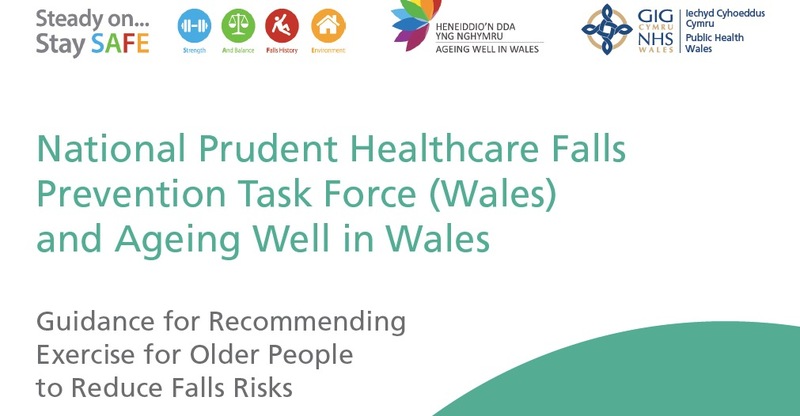 It follows on from concerns raised in an earlier programme of work looking at older people’s experiences of falls prevention services in general and complements the findings from the recent report of the national audit of falls and bone health audit in older people 2010. The aim of the project was to obtain patients’ experiences of NHS run therapeutic exercise programmes to reduce falls. The patient questionnaire was supplemented by a survey of staff involved in the delivery of therapeutic exercise. Over 1,700 older people who had attended an NHS-run exercise programme to reduce falls shows that 96% felt the exercises were either beneficial or quite beneficial, and 95% were either satisfied or very satisfied with their exercise programme. Now, the not so good news! 86% of staff report low frequency of their exercise classes (once per week), well below recommended guidance. Only 29% of patients returning questionnaires used ankle weights for targeted resistance training to reduce falls. Only 52% of patients felt their exercise programme had been progressed. 81% of patients attending a class indicated that this had lasted 12 weeks or less. 73% of patients supervised at home indicated that their programme lasted for 3 months or less. 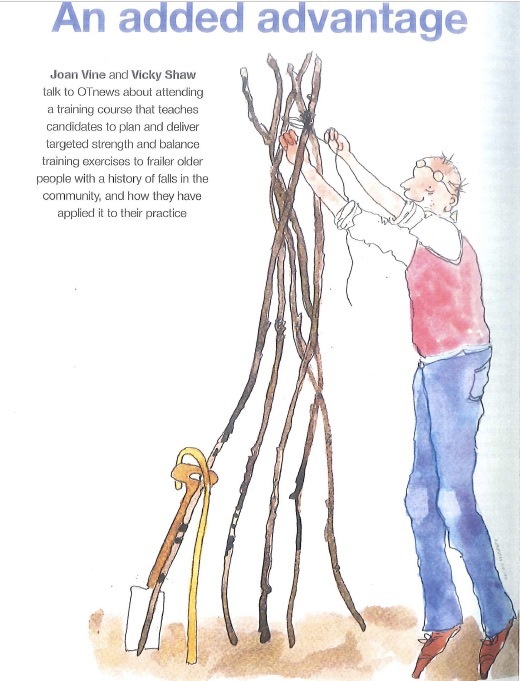 Not all staff delivering the exercise programmes to reduce falls are appropriately trained. Only 54% of sites had staff who had completed Postural Stability Instructor training and 41% of sites had staff who have completed Otago training. Evidence shows older people are more likely to continue exercising in a class than on their own at home. However, responses from staff show there is lack of long term follow-up classes in the community that patients can attend. 9% of participating sites had no classes they could encourage patients to attend at the end of their NHS-run exercise programme and only 53% had two or more classes and many of these were not evidence based. Commissioners need to commission a local, integrated exercise continuum across health and local authorities/voluntary sector to ensure long term provision of evidence-based exercise programmes for reducing falls run by appropriately qualified staff. 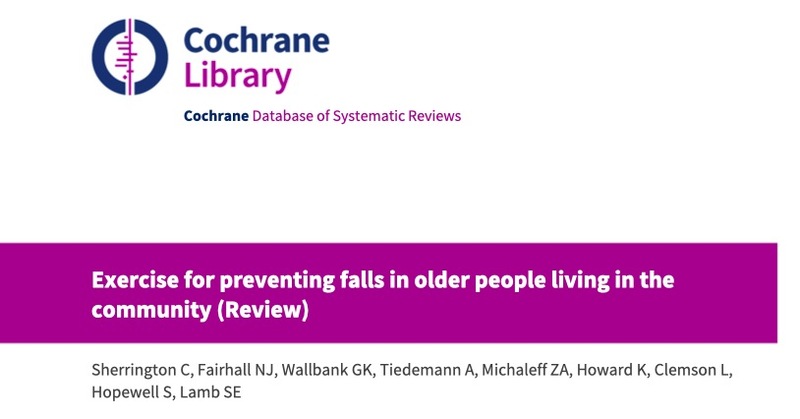 The quality of training and delivery of exercise programmes for reducing falls needs to be monitored locally and nationally against the evidence base for delivering effective exercise programmes to reduce falls. If you want to download the full report, click here. So, all you PSIs and OEPs out there, make sure your local falls services are aware of this report and that they have the ability to refer onto your evidence based community classes!